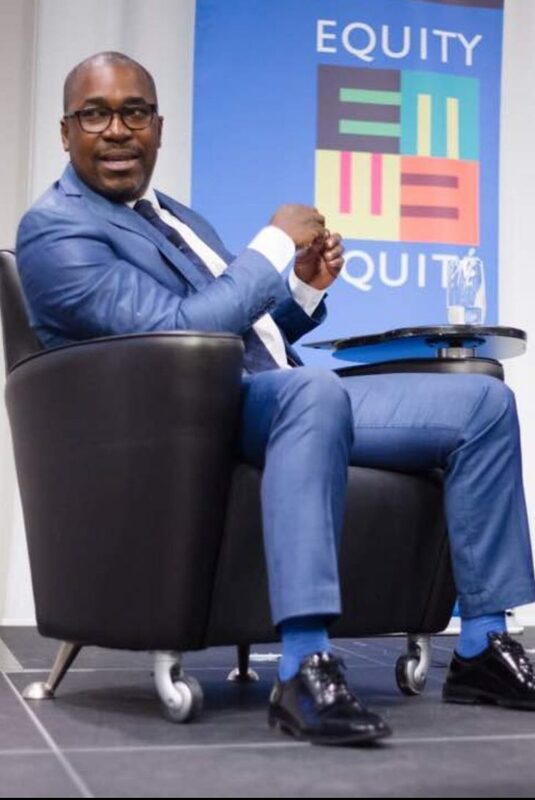 Barrister Felix Agbor Nkongho, leader of the defunct Cameroon Anglophone Civil Society Consortium, CACSC, has been invited to the Paris Peace Forum in France. During the peace conference, the President of the Centre for Human Rights and Democracy in Africa, CHRDA, plans to educate and lobby support to pressurise decision makers to propose best ways of solving the Anglophone Crisis in Cameroon. 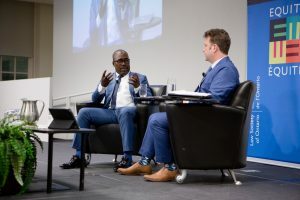 Agbor Balla in a chat with the law society of Ontario Canada. Hammering on the need for peace, Balla stated that “Peace is not just the suspension of war. It is made up of all the solutions that help minimise international tensions: institutions to channel power rivalries and administer global public goods, justice to assuage grievances and frustration, regulation to address inequalities and abuses of power. “International norms, in particular human rights, are disregarded and international justice is questioned”. Balla explained that the Paris Peace Forum was created to convene all those among States and Civil Society that still believe that collective action, multilateralism and the good stewardship of common public goods are our best chance to address common challenges and maintain peace. The plan for the Paris Peace Forum is the brain child of the French President, Emmanuel Macron, though it is organised by an NGO founded in 2018 by the Körber Foundation, the Mo Ibrahim Foundation, the Institutfrançais des relations internationales, the Institut Montaigne, Sciences Po and the French Ministry for European and Foreign Affairs. 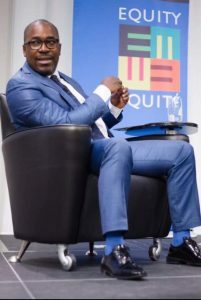 At the Peace Forum, Barrister Balla is expected to speak on the degenerating Anglophone Crisis back in Cameroon and also lobby support aimed at pushing for a lasting solution to the Crisis and problems that keep resurfacing in different generations of the former West Cameroons, but has now reached its peak of an armed conflict after the brutal crackdown on peaceful protests. Good in theory-quite possibly won’t work out in reality, oh well..
Hello there, I discovered your website by the use of Google while looking for a similar topic, your web site got here up, it looks good. I’ve bookmarked it in my google bookmarks. Hey there would you mind letting me know which hosting company you’re working with? I’ve loaded your blog in 3 different web browsers and I must say this blog loads a lot faster then most. Can you suggest a good hosting provider at a reasonable price? Many thanks, I appreciate it! I just want to tell you that I am just very new to weblog and absolutely liked you’re web-site. Almost certainly I’m want to bookmark your blog . You surely have fantastic articles and reviews. With thanks for revealing your web-site. I’m still learning from you, but I’m trying to achieve my goals. I absolutely enjoy reading everything that is written on your site.Keep the information coming. I loved it! I just wanted to make a small message to be able to express gratitude to you for some of the wonderful ways you are showing on this website. My long internet research has now been paid with high-quality insight to write about with my close friends. I ‘d assume that many of us readers actually are undoubtedly blessed to be in a very good community with many awesome individuals with helpful strategies. I feel very grateful to have come across your entire site and look forward to plenty of more enjoyable minutes reading here. Thank you again for a lot of things. Wow, awesome weblog structure! How long have you been blogging for? you make blogging glance easy. The total look of your web site is great, as well as the content material! Great goods from you, man. I’ve understand your stuff previous to and you are just extremely great. I really like what you have acquired here, certainly like what you’re stating and the way in which you say it. You make it entertaining and you still take care of to keep it wise. I can’t wait to read much more from you. This is really a great website. I precisely wanted to appreciate you all over again. I do not know the things that I could possibly have followed without the type of opinions discussed by you about such a question. Completely was a real distressing difficulty in my view, but taking note of the very skilled fashion you dealt with that forced me to leap for gladness. Now i’m thankful for this work and even believe you recognize what a powerful job that you’re getting into training the mediocre ones through a site. Probably you have never come across any of us. Thank you for sharing excellent informations. Your website is very cool. I am impressed by the details that you have on this web site. It reveals how nicely you perceive this subject. Bookmarked this web page, will come back for extra articles. You, my pal, ROCK! I found just the information I already searched all over the place and just could not come across. What a perfect site. I will immediately grab your rss as I can not find your e-mail subscription hyperlink or newsletter service. Do you’ve any? Kindly let me understand so that I could subscribe. Thanks. Great ¡V I should certainly pronounce, impressed with your web site. I had no trouble navigating through all tabs and related information ended up being truly simple to do to access. I recently found what I hoped for before you know it in the least. Quite unusual. Is likely to appreciate it for those who add forums or anything, site theme . a tones way for your client to communicate. Nice task.. I together with my guys appeared to be examining the good guidelines located on your site and then before long came up with a terrible feeling I had not thanked the web blog owner for them. Most of the boys are already absolutely very interested to read them and have in effect absolutely been tapping into those things. We appreciate you simply being so accommodating and for finding this kind of fantastic issues millions of individuals are really wanting to discover. My very own honest regret for not expressing gratitude to you earlier. You actually make it appear really easy together with your presentation but I in finding this matter to be really something that I feel I would by no means understand. It sort of feels too complex and extremely large for me. I am having a look forward in your next submit, I will try to get the hang of it! I have been surfing online greater than three hours as of late, but I by no means found any attention-grabbing article like yours. It¡¦s lovely worth enough for me. In my opinion, if all site owners and bloggers made just right content material as you probably did, the net will be a lot more helpful than ever before. You actually make it appear so easy along with your presentation however I to find this matter to be really something that I feel I might by no means understand. It seems too complicated and extremely extensive for me. I am having a look ahead in your next put up, I¡¦ll try to get the dangle of it! Needed to put you the bit of remark to help thank you so much as before for the striking things you’ve provided in this case. It’s simply unbelievably open-handed of you to give easily precisely what most of us would have offered as an ebook to help make some money on their own, particularly considering that you could have done it in case you wanted. Those advice as well acted like the easy way to be certain that many people have the same eagerness the same as my very own to find out very much more on the topic of this matter. I’m certain there are several more pleasant periods ahead for individuals that check out your blog. Thanks for any other informative website. Where else may I get that type of information written in such an ideal approach? I have a challenge that I’m just now operating on, and I’ve been at the glance out for such information. Thank you for some other fantastic post. Where else could anybody get that kind of information in such an ideal means of writing? I have a presentation next week, and I am on the search for such info. I’m still learning from you, as I’m trying to achieve my goals. I certainly love reading everything that is posted on your blog.Keep the stories coming. I enjoyed it! I just want to mention I’m new to blogging and site-building and seriously loved this blog. More than likely I’m going to bookmark your blog post . You definitely have outstanding well written articles. Cheers for sharing your blog. Just desire to say your article is as astounding. The clarity in your post is just nice and i could assume you’re an expert on this subject. Well with your permission let me to grab your feed to keep updated with forthcoming post. Thanks a million and please keep up the gratifying work. It is the best time to make some plans for the future and it’s time to be happy. I have read this post and if I could I wish to suggest you some interesting things or suggestions. Perhaps you could write next articles referring to this article. I wish to read more things about it! My wife and i have been so delighted when Jordan managed to finish off his web research while using the precious recommendations he had when using the web site. It’s not at all simplistic just to find yourself giving freely tips and tricks which usually men and women may have been making money from. Therefore we see we have the website owner to thank for this. Most of the explanations you have made, the easy web site navigation, the friendships you can make it possible to foster – it’s got most powerful, and it’s really helping our son and us do think the matter is satisfying, which is certainly pretty important. Thank you for all! Hi my friend! I wish to say that this article is awesome, great written and include almost all significant infos. I¡¦d like to see extra posts like this . Hello, Neat post. There’s an issue together with your web site in web explorer, might test this¡K IE still is the marketplace leader and a good component to other people will miss your great writing due to this problem. I intended to draft you that very little note to finally thank you so much once again on your splendid solutions you have shown in this case. This is quite seriously open-handed with you to deliver unreservedly just what numerous people could have made available as an e-book in making some money on their own, mostly seeing that you could possibly have done it if you ever wanted. These good tips additionally worked as a great way to fully grasp the rest have the same eagerness similar to my very own to understand a whole lot more related to this matter. I’m sure there are a lot more fun situations in the future for individuals who read carefully your website. Thanks , I’ve recently been looking for information about this topic for a long time and yours is the best I have discovered till now. But, what in regards to the bottom line? Are you sure in regards to the source? A person essentially help to make seriously posts I’d state. That is the very first time I frequented your website page and thus far? I amazed with the research you made to make this actual submit incredible. Fantastic task! I have been exploring for a bit for any high quality articles or weblog posts in this kind of space . Exploring in Yahoo I finally stumbled upon this site. Studying this info So i¡¦m happy to show that I have a very excellent uncanny feeling I found out exactly what I needed. I so much indubitably will make certain to don¡¦t fail to remember this site and give it a glance on a continuing basis. Whats Taking place i’m new to this, I stumbled upon this I have discovered It positively helpful and it has aided me out loads. I am hoping to contribute & help different users like its helped me. Great job. Hey there. I found your blog by the use of Google at the same time as searching for a related matter, your site got here up. It seems great. I’ve bookmarked it in my google bookmarks to come back then. Very well written information. It will be helpful to anyone who employess it, as well as me. Keep up the good work – i will definitely read more posts. Hi there. I found your website by the use of Google even as looking for a similar subject, your site got here up. It looks great. I have bookmarked it in my google bookmarks to come back then. Hello there. I discovered your website by the use of Google whilst looking for a similar subject, your web site got here up. It seems to be great. I have bookmarked it in my google bookmarks to visit then. Hello there. I discovered your blog by the use of Google while looking for a comparable matter, your website came up. It looks good. I have bookmarked it in my google bookmarks to come back then. Hey there. I found your blog by the use of Google at the same time as looking for a related matter, your web site got here up. It seems to be great. I have bookmarked it in my google bookmarks to visit then. Hiya, I am really glad I have found this information. Today bloggers publish only about gossip and web stuff and this is really annoying. A good web site with exciting content, this is what I need. Thank you for making this site, and I will be visiting again. Do you do newsletters by email? Hiya, I’m really glad I’ve found this info. Today bloggers publish just about gossip and web stuff and this is actually annoying. A good site with interesting content, that is what I need. Thank you for making this site, and I’ll be visiting again. Do you do newsletters by email? I simply wanted to say thanks once again. I am not sure what I could possibly have created without the basics discussed by you concerning such a subject. It seemed to be a frightening matter for me, however , seeing your skilled manner you resolved it took me to jump over contentment. I will be happier for your assistance and in addition have high hopes you are aware of a great job your are undertaking educating many people thru your blog post. I’m certain you haven’t got to know all of us. I would like to thank you for the efforts you’ve put in writing this blog. I am hoping the same high-grade web site post from you in the upcoming also. In fact your creative writing skills has encouraged me to get my own site now. Actually the blogging is spreading its wings quickly. Your write up is a good example of it. Hey there. I discovered your website via Google while searching for a similar topic, your website came up. It seems good. I’ve bookmarked it in my google bookmarks to come back then. I precisely wanted to say thanks all over again. I am not sure the things I might have taken care of without those recommendations provided by you on such industry. It was before the traumatic issue for me, nevertheless spending time with a new well-written style you processed it took me to cry for delight. Now i am happy for the assistance and pray you realize what an amazing job you happen to be putting in instructing most people using your websites. More than likely you’ve never encountered any of us. I’ve been surfing online more than 3 hours as of late, but I by no means discovered any attention-grabbing article like yours. It is beautiful value sufficient for me. In my view, if all web owners and bloggers made good content as you did, the web might be a lot more useful than ever before. Thanks so much for giving everyone an extraordinarily spectacular chance to read from here. It is usually very cool and jam-packed with amusement for me and my office acquaintances to visit your blog minimum 3 times weekly to see the fresh secrets you will have. Of course, I’m just at all times motivated considering the outstanding tricks you give. Selected 1 facts on this page are without a doubt the finest we have ever had. Thanks a bunch for sharing this with all of us you really recognise what you’re talking about! Bookmarked. Kindly also discuss with my site =). We will have a link exchange agreement between us! Wonderful goods from you, man. I have understand your stuff previous to and you are just extremely excellent. I really like what you have acquired here, really like what you are saying and the way in which you say it. You make it enjoyable and you still care for to keep it smart. I can’t wait to read much more from you. This is actually a wonderful web site. Very efficiently written information. It will be supportive to anybody who employess it, as well as yours truly :). Keep doing what you are doing – can’r wait to read more posts. Hi there. I discovered your website by the use of Google at the same time as searching for a comparable subject, your web site came up. It looks great. I have bookmarked it in my google bookmarks to visit then. What i do not understood is actually how you’re not actually much more well-preferred than you may be right now. You’re so intelligent. You already know therefore considerably on the subject of this subject, made me for my part imagine it from numerous varied angles. Its like men and women aren’t involved unless it¡¦s one thing to accomplish with Lady gaga! Your personal stuffs outstanding. All the time maintain it up! Good ¡V I should definitely pronounce, impressed with your web site. I had no trouble navigating through all tabs and related info ended up being truly simple to do to access. I recently found what I hoped for before you know it at all. Reasonably unusual. Is likely to appreciate it for those who add forums or something, web site theme . a tones way for your client to communicate. Nice task..
Hi there. I discovered your website by way of Google at the same time as looking for a related topic, your web site came up. It looks great. I have bookmarked it in my google bookmarks to visit then. Hello there. I discovered your website by means of Google whilst searching for a related topic, your website came up. It appears to be good. I’ve bookmarked it in my google bookmarks to visit then. I am just commenting to let you be aware of of the beneficial encounter my friend’s girl experienced going through your web site. She came to understand a lot of things, including what it’s like to have an incredible coaching nature to make other people just master chosen multifaceted subject matter. You really surpassed our desires. I appreciate you for distributing these valuable, healthy, explanatory and easy thoughts on the topic to Ethel. Hiya, I am really glad I have found this information. Today bloggers publish only about gossip and internet stuff and this is really frustrating. A good site with interesting content, that is what I need. Thank you for making this site, and I will be visiting again. Do you do newsletters by email? Hiya, I am really glad I have found this info. Today bloggers publish just about gossip and internet stuff and this is actually annoying. A good web site with interesting content, that’s what I need. Thank you for making this web-site, and I will be visiting again. Do you do newsletters by email? It is in reality a great and helpful piece of info. I¡¦m satisfied that you simply shared this useful information with us. Please keep us up to date like this. Thanks for sharing. Hiya, I’m really glad I’ve found this info. Nowadays bloggers publish just about gossips and net and this is actually irritating. A good website with interesting content, that’s what I need. Thank you for keeping this web site, I will be visiting it. Do you do newsletters? Can not find it. Fantastic site. A lot of useful info here. I am sending it to a few friends ans additionally sharing in delicious. And naturally, thank you in your sweat! Hiya, I’m really glad I have found this information. Today bloggers publish only about gossip and web stuff and this is really annoying. A good website with interesting content, this is what I need. Thanks for making this site, and I will be visiting again. Do you do newsletters by email? Great ¡V I should definitely pronounce, impressed with your web site. I had no trouble navigating through all tabs as well as related info ended up being truly easy to do to access. I recently found what I hoped for before you know it at all. Reasonably unusual. Is likely to appreciate it for those who add forums or something, website theme . a tones way for your client to communicate. Excellent task..
Hello there. I discovered your website by the use of Google at the same time as looking for a related matter, your web site came up. It looks good. I have bookmarked it in my google bookmarks to come back then. Hiya, I’m really glad I’ve found this info. Today bloggers publish only about gossip and web stuff and this is really irritating. A good blog with interesting content, that is what I need. Thank you for making this website, and I will be visiting again. Do you do newsletters by email? Hi there. I found your blog via Google while searching for a similar matter, your website came up. It appears good. I have bookmarked it in my google bookmarks to come back then. Thanks for sharing excellent informations. Your website is very cool. I’m impressed by the details that you¡¦ve on this blog. It reveals how nicely you understand this subject. Bookmarked this web page, will come back for more articles. You, my friend, ROCK! I found just the information I already searched all over the place and simply could not come across. What a perfect site. Hi there. I discovered your web site by way of Google at the same time as searching for a similar matter, your web site came up. It seems to be good. I’ve bookmarked it in my google bookmarks to visit then. Hi there. I found your web site by way of Google even as looking for a related subject, your site came up. It seems great. I have bookmarked it in my google bookmarks to come back then. whoah this blog is fantastic i love reading your posts. Stay up the good work! You know, a lot of persons are looking round for this info, you could aid them greatly. Hiya, I’m really glad I’ve found this information. Nowadays bloggers publish only about gossip and internet stuff and this is really annoying. A good website with exciting content, that’s what I need. Thanks for making this web-site, and I will be visiting again. Do you do newsletters by email? I was just searching for this information for a while. After 6 hours of continuous Googleing, at last I got it in your web site. I wonder what is the lack of Google strategy that don’t rank this kind of informative sites in top of the list. Generally the top websites are full of garbage. I have been surfing online more than 3 hours as of late, yet I by no means discovered any fascinating article like yours. It is beautiful worth sufficient for me. In my view, if all website owners and bloggers made excellent content material as you probably did, the net shall be much more useful than ever before. I’ve been surfing online greater than three hours today, yet I never found any attention-grabbing article like yours. It is lovely worth enough for me. In my opinion, if all site owners and bloggers made just right content as you did, the net can be much more helpful than ever before. I’ve been surfing online greater than 3 hours these days, yet I never found any attention-grabbing article like yours. It is beautiful price enough for me. In my view, if all site owners and bloggers made good content material as you probably did, the net will probably be a lot more helpful than ever before. Hello there. I found your web site by means of Google at the same time as looking for a related subject, your website came up. It appears good. I have bookmarked it in my google bookmarks to come back then. Hey there. I found your website by the use of Google while searching for a similar subject, your web site got here up. It appears good. I have bookmarked it in my google bookmarks to come back then. Hiya, I’m really glad I’ve found this information. Nowadays bloggers publish just about gossip and net stuff and this is actually annoying. A good blog with exciting content, that’s what I need. Thank you for making this website, and I’ll be visiting again. Do you do newsletters by email? Hiya, I’m really glad I have found this information. Nowadays bloggers publish only about gossip and net stuff and this is actually annoying. A good web site with exciting content, that is what I need. Thanks for making this web site, and I’ll be visiting again. Do you do newsletters by email? hey there and thank you for your info – I have certainly picked up something new from right here. I did however expertise a few technical points using this web site, since I experienced to reload the web site lots of times previous to I could get it to load properly. I had been wondering if your web host is OK? Not that I’m complaining, but slow loading instances times will sometimes affect your placement in google and can damage your quality score if advertising and marketing with Adwords. Anyway I am adding this RSS to my email and can look out for much more of your respective intriguing content. Ensure that you update this again very soon..
Hiya, I am really glad I’ve found this info. Nowadays bloggers publish only about gossip and web stuff and this is really irritating. A good blog with exciting content, that’s what I need. Thank you for making this website, and I’ll be visiting again. Do you do newsletters by email? Hi there. I discovered your site by way of Google whilst searching for a related subject, your web site got here up. It appears to be good. I’ve bookmarked it in my google bookmarks to come back then. Hi there. I found your site by way of Google at the same time as looking for a similar topic, your web site came up. It seems good. I’ve bookmarked it in my google bookmarks to come back then. Hi there. I found your site by way of Google at the same time as looking for a comparable matter, your web site came up. It appears great. I have bookmarked it in my google bookmarks to visit then. Hiya, I am really glad I have found this info. Today bloggers publish just about gossip and net stuff and this is really irritating. A good site with interesting content, this is what I need. Thank you for making this website, and I’ll be visiting again. Do you do newsletters by email? Hiya, I am really glad I have found this information. Today bloggers publish just about gossip and net stuff and this is actually frustrating. A good blog with exciting content, that is what I need. Thank you for making this web site, and I’ll be visiting again. Do you do newsletters by email? Hi there. I discovered your site via Google whilst searching for a similar matter, your site got here up. It seems great. I’ve bookmarked it in my google bookmarks to visit then. Hiya, I am really glad I’ve found this information. Nowadays bloggers publish just about gossip and net stuff and this is really irritating. A good web site with exciting content, this is what I need. Thanks for making this web site, and I will be visiting again. Do you do newsletters by email? Hiya, I am really glad I have found this info. Nowadays bloggers publish just about gossip and internet stuff and this is actually frustrating. A good site with exciting content, this is what I need. Thank you for making this site, and I’ll be visiting again. Do you do newsletters by email? Hey there. I discovered your website by way of Google while searching for a similar matter, your site got here up. It appears good. I’ve bookmarked it in my google bookmarks to visit then. Hi there. I discovered your blog by the use of Google at the same time as searching for a comparable topic, your web site came up. It seems great. I have bookmarked it in my google bookmarks to come back then. hello there and thank you for your info – I’ve definitely picked up something new from right here. I did however expertise several technical points using this site, since I experienced to reload the web site a lot of times previous to I could get it to load properly. I had been wondering if your hosting is OK? Not that I’m complaining, but slow loading instances times will very frequently affect your placement in google and can damage your high quality score if ads and marketing with Adwords. Anyway I’m adding this RSS to my e-mail and could look out for a lot more of your respective fascinating content. Ensure that you update this again soon..
Hey there. I found your site by means of Google whilst searching for a similar matter, your website came up. It appears to be great. I have bookmarked it in my google bookmarks to come back then. Hi there. I discovered your blog by the use of Google even as searching for a similar subject, your web site got here up. It appears to be great. I’ve bookmarked it in my google bookmarks to come back then. I will right away take hold of your rss as I can not in finding your email subscription link or e-newsletter service. Do you’ve any? Kindly allow me understand in order that I may just subscribe. Thanks. Hey there. I discovered your website by way of Google whilst searching for a comparable topic, your site got here up. It seems great. I’ve bookmarked it in my google bookmarks to visit then. whoah this weblog is great i like studying your posts. Keep up the great work! You realize, many people are looking around for this information, you can aid them greatly. Hi there. I discovered your blog via Google at the same time as looking for a related topic, your website came up. It appears to be good. I have bookmarked it in my google bookmarks to come back then. Hi there. I discovered your web site by way of Google even as looking for a comparable matter, your web site came up. It seems to be good. I’ve bookmarked it in my google bookmarks to visit then. Hi there. I found your web site by means of Google whilst searching for a similar subject, your web site came up. It looks good. I’ve bookmarked it in my google bookmarks to come back then. Hiya, I’m really glad I have found this info. Today bloggers publish just about gossip and web stuff and this is actually annoying. A good website with interesting content, that’s what I need. Thanks for making this web-site, and I’ll be visiting again. Do you do newsletters by email? Hiya, I am really glad I have found this info. Today bloggers publish just about gossip and web stuff and this is really frustrating. A good site with interesting content, this is what I need. Thanks for making this web-site, and I will be visiting again. Do you do newsletters by email? Hiya, I’m really glad I’ve found this information. Nowadays bloggers publish only about gossip and web stuff and this is actually irritating. A good blog with exciting content, that is what I need. Thank you for making this web site, and I will be visiting again. Do you do newsletters by email? Hey there. I found your blog by means of Google whilst looking for a comparable topic, your site came up. It appears to be good. I have bookmarked it in my google bookmarks to come back then. Hiya, I am really glad I’ve found this information. Nowadays bloggers publish only about gossip and net stuff and this is actually frustrating. A good blog with interesting content, that is what I need. Thank you for making this web site, and I will be visiting again. Do you do newsletters by email? I would like to thnkx for the efforts you’ve put in writing this blog. I’m hoping the same high-grade website post from you in the upcoming as well. Actually your creative writing abilities has inspired me to get my own web site now. Really the blogging is spreading its wings fast. Your write up is a good example of it.